I hope you glean some insight after reading these pre-teen articles! I update this page regularly, so come back often! I post excellent tips and solutions for common discipline challenges for your young elementary child, or pre-teen! A dad got a call from his son’s teacher, "Mr. Jenkins, you’ve got to do something about Travis. He's been calling other kids names during recess and it's causing a lot of trouble. I think you need to have a talk with him." "Well, Mrs. Alexander, are you sure? Have you seen him doing that or are you just taking the word of the other kids?" "I'm sorry, but I've witnessed it myself, otherwise I wouldn't have called." "Ok, I'll have a talk with him. Thanks." Later that evening Dad talked to Travis. "Travis, are you calling the other kids names during recess?" "No." "Well, your teacher says you are. Now what's the story?" "I don't know. She's lying." If you know a child did something, don't set him up to lie by asking about it. Kids, like most adults, will lie to protect themselves. Since Dad knew that the name-calling was happening, it would have been better to handle it by saying, "Travis, I know that you've been calling the other kids names during recess. I expect it to stop." Travis will still try to get out of it with, "But I'm not." Dad's response should be, "We're not talking about that. What did I say about it?" Travis may still continue to try to protect himself with denials and Dad's job is to continue to say, "I know and what did I say about that?" Check out page 198 in Parenting with Love and Logic to learn more about childhood lying. Forced apologies are rarely sincere apologies. While I agree that children should apologize when they cause problems, whether they do so with a sincere heart is something we cannot always control. Probably the best way to up the odds is for us to be good models of this in front of our kids. There's a big difference between a person saying that they are sorry and showing that they are. Saying is relatively easy. Showing is a lot tougher. Kids should be expected to do something that demonstrates their remorse. Wise parents say, "Telling him that you are sorry is a great way to start! What can you do to show him that you are sorry?" Younger children typically need some guidance figuring out what they might do to demonstrate their sorrow. Wise parents also give some options: "Some kids decide to write a nice card. How would that work? Some kids decide to buy a new one with their own money.…"
When all else fails, some parents experiment with the Energy Drain technique. In his CD, Love and Logic Magic® When Kids Drain Your Energy, my dad, Jim Fay, teaches how to inform your children that refusing to do something that you've asked of them drains your energy. Until they get that energy replaced, you'll need to rest instead of doing special things for them. Have you ever met an impatient adult who demanded to be served without ever having to wait? As a teenager and young adult, I worked a few restaurant jobs where I really got to see the long-term results of poor parenting in some of our impatient patrons. Years later as a psychologist, I met many couples whose on-going marital conflict had a lot to do with the fact that they never learned to delay gratification as kids. On the highways of life, how many times do we see impatient people risk their lives - and the lives of many others - by trying to get just one car length ahead? Are you giving your kids enough practice waiting? Or, have you fallen into the habit of serving them quickly to avoid a fit? Using behavioral conditioning, many children train their parents to jump to their every whim. They do this by gradually increasing the frequency and intensity of the punishment they provide when their parents don't move fast enough to meet their demands. As you well know, this "punishment" comes in the form of constantly repeating the same demand, whining, yelling, screaming, or even hitting. "I'll get that for you after I've seen you wait patiently." "I do things for kids who aren't being pushy and demanding." "You may have that when you've earned it." The more I appease my child when he is young, the nastier and unhappier he will be as an adult. If your kids have already become a bit too demanding and argumentative, learn how to put an end to this manipulation by reading Love and Logic Magic: When Kids Leave You Speechless. Understanding why is fairly simple. Consequences delivered with empathy create responsibility. Consequences delivered without empathy create resentment. So we have a choice: Will we raise responsible kids…or resentful ones? Will we end up in a nice nursing home or a nasty one? Yes. Understanding why empathy is the most important skill is simple. Empathy preserves the relationship and makes it very hard for our kids to blame us for their poor decisions. Really using sincere empathy…on a consistent basis…is the hard part! We've spent over two decades studying people who've been successful with this. What do they have in common? They use just one empathetic statement…regardless of what consequence they must provide. That's right. They keep it simple! They also pick one that fits their personality and culture. Some folks always precede consequences with, "That is so sad." Others prefer, "Oh, man…"
Some parents say, "What a bummer." Others prefer, "Bless your heart." Tape this note on your bathroom mirror as a reminder. Why saying: "Just try it, it's easy!" This person who’s trying to help me is nuts…and definitely not to be trusted! Why should I try if I can’t even handle the easy stuff? Quite frequently I overhear well-meaning parents and educators using the “Just try it, it’s easy!” approach in an attempt to urge a reluctant child into trying something they’re afraid of. When the child finds the task easy, all is right with the world. When they don’t, they’re confronted with the pain of seeing that they might be so slow that they can’t even do something really, really “easy”! How often does this need to happen before our kids lose faith in our word? How often does this have to happen before our children lose faith in their own abilities? Are you willing to take this sort of risk with your kids? A lot of kids find this kind of challenging. Would you try this and let me know what you think? Aren’t you glad that I don’t believe that? “Aren’t you glad that I don’t believe that?” represents an exceptionally powerful way of communicating to your children that they have what it takes to succeed. Delivered in question format its effectiveness becomes supercharged. Remember: Questions create thinking. Statements create resistance. And…aren’t you glad that I’m going to love you the same even if you have to work really hard to figure this out? Step 1: Show your kids how to make mistakes and solve them. Great dads (and moms) don't try to be perfect. Instead, they allow their children to witness some of their small mistakes, show that they are human, and model what it looks like to be a good problem–solver. For example, on a cool evening, a wise dad might purposefully leave his jacket at home and say to his kids, "Oops! I forgot to bring my jacket. I'm chilly. I sure am going to remember it next time!" Step 2: Give your kids plenty of opportunities to make "affordable" mistakes. Love and Logic parents know that the consequences of mistakes grow more dangerous as their children grow older. Therefore, they hope and pray their youngsters will make plenty of small or "affordable" mistakes when they are young, when the "price tags" of these mistakes are small. For example, on another cool evening during the same week, dad might say to his kids, "We are leaving in 10 minutes. I'm going to treat you like big kids. How fun! You get to be in charge of remembering what you need to bring with you." Step 3: If a mistake is made, provide a strong "dose" of empathy and hold your child accountable. Believe it or not, the parents who are loved and respected by kids provide firm consequences for mistakes or misbehavior. The most loved and respected dads (and moms) provide a strong message of caring or empathy before they deliver consequences. If a child forgets to bring his or her jacket, a Love and Logic parent might say very sincerely, "This is so sad. You forgot your jacket, and now you're chilly. We can't drive all the way home to get it. Hang in there. I love you." Step 4: Give your children the same task again. The very next day, the same father might say, "We are leaving in 10 minutes. You again get to be in charge of remembering what you need to bring with you." When parents give their children responsibility for the same task again, without nagging or reminding them of their previous mistakes, they send a very powerful message: "You are smart enough to learn from your mistakes!" It's never too early or too late to give your children the gifts of Love and Logic. A father I know used these steps with his four–year–old daughter, Amy. He even picked the same decision – remembering one's jacket. Little Amy forgot her jacket just once! The next evening, as they were preparing to leave for the grocery store, she looked at her father, smiled with pride, and exclaimed, "Daddy! I brought my jacket just in case I'm chilly!" Give Love and Logic a try and join thousands of parents who have discovered easy and effective ways to increase their children's responsibility and raise self–esteem. SO, what do you do about it?? Do your friends, neighbors, relatives, or coworkers have rude kids? I've always been amazed at how many of us know others who've allowed their kids to become snotty. Of course, rudely behaved kids never live under our roofs. But, just in case you run into someone with a politeness-challenged youngster, here are some tips you can share. Remember that it's okay to be old-fashioned. There was a time in our country when parents expected their children to say "please" and "thank you." There was a time when they had to ask, "May I please be excused," before they left the dinner table. There was even a time when most youngsters were not allowed to interrupt conversations between adults, were expected to hold doors open for adults, and believed that adults went first. Limit television viewing in your home. Television has pretty much ruined our society. (How's that for blatant political incorrectness?) Model a humble attitude. Too frequently, kids in our society grow up around people who are far more interested in winning than serving others. Parents who model humility, respect and politeness toward others are far more likely to raise kids who do the same. Place character over achievement. Many kids are allowed to slide in the area of politeness because they are viewed as so incredibly gifted by their parents and other adults in their lives. Wise parents remember that the world is filled with incredibly talented people who've failed miserably because they are jerks. In my book, Parenting Kids To Become the People Employers Really Want and...America Desperately Needs!, I focus every page on the development of sound character and politeness. If this book doesn’t change your life, I’ll gladly buy it back! Why your kid needs a least one. While the vast majority of educators deserve great praise for their patience, care and competence, most of us have known at least one who scowled instead of smiled, yelled instead of whispered, and pointed out our weaknesses instead of our strengths. As parents, it's tempting to rescue our kids from such teachers…to demand that our kids be moved to another class. My parents felt this temptation when I was in the third grade. I still regard Mrs.___________(name deleted to protect the guilty) as one of the most negative, demanding, and cold people I've ever met. She did me a great favor! After the first week of school, my mom and dad patted me on the back and said, "You are so lucky. This year you're going to learn how to do something that plenty of adults haven't learned yet! This year you're going to learn all about how to get along with really tough people. We will help you with ideas." I wasn’t impressed! But they were right! When your kids meet Mrs. ____________, will you give them this gift…or steal it from them? When I advise parents about saying "no," I tell them the same thing I tell adolescents who might be considering some self-destructive act: "You can always do that, so let's try other things first." Give a choice and imply consequences: "Gee, I don't think that is a very good decision and I'm pretty sure it might work out poorly for you." Suggest an alternative behavior without ordering it: "I think that if I were in your shoes, I would probably change my tone of voice rather than being asked to leave." Ask for illumination (without using a witness stand tone of voice): "I've always wondered about what leads kids to be obnoxious. Can you help me understand that?" Give a direct question: "How do you think this is going to work out for you?" Remember, Love and Logic has nothing against telling a kid "no." However, that means the response has not been clearly thought through. If we can say something that gets the kid to make his own decision, we are further ahead. Parents can raise responsible kids who grow up to be responsible and independent adults. That is, only if they don't give them everything they want! Today, more parents than ever before are able to give their children more of what they ask for. What's the result? More and more ungrateful youngsters who never learn the value of hard work and the struggle to succeed - youngsters who remain financially and emotionally dependent upon their parents well into adulthood. Step 1: Show your child you understand his or her desires. Child: "Dad, I need that new video game. All of my friends already have it." Father: "That is such a cool game! I can understand a kid wanting that one." Step 2: Instead of giving in or saying "No," gently ask how they plan to pay for the item. Child: "It is cool. You need to get it for me today. I need time to practice." Father: "How are you going to pay for it?" Step 3: When your child reacts, ask, "Would you like some ideas?" Child: "What? I don't have any money. Why won't you buy it for me?" Father: "Would you like some ideas about how to pay for it?" Step 4: Give your child two or three possible options. Father: "Some kids decide to do extra chores to earn the money. How would that work?" Father: "Other kids decide to sell some of their old things to earn the money. How would that work?" Child: "Why won't you just buy it for me?" Step 5: Wish your child luck and don't get sucked into an argument. Father: "I really hope you can find a way to earn that game." Child: "This is so stupid. Why won't you just buy it?" Father: "I love you too much to argue. I'll be happy to listen when your voice sounds calm." At The Love and Logic Institute, we've received letter after letter describing how these five steps have changed parents' lives with their children. A mother noted that her kids were raised with this approach and as adults, all three are very thrifty shoppers! Love and Logic is easy to learn and can change your life too. The sooner you start, the more time you'll have to enjoy your kids, and they'll have to learn the value of hard work. The Taliban are Coming to Your Local Supermarket! By Foster W. Cline, M.D. I was walking through the supermarket the other day, wanting to check out the magazines articles near the cash registers, but I couldn't see the covers and the articles within, because the covers had just been obscured with thin pieces of laminated wood. I asked the lady at the checkout stand, "What is going on here?" I had always liked to peruse the contents of the magazines while standing in line. No more. Why? It turns out that a father with a couple of little kids had waltzed through the other day and complained that there was too much cleavage showing on a lady gracing the cover of Cosmopolitan. So now hundreds of people cannot easily see the contents of several basically news magazines because the father thinks his little kids would get overly interested in cleavage! Isn't it always the vocal, controlling, slightly off-base minority that tramples the rights of the quiet, healthy majority? The psychiatrist in me can't help but wonder if this is a dad that is trying to control his own impulses by controlling his kids, in the same way fat parents worry about their kids' eating habits or abusive people attack others and their property, ostensibly to protect animals. In my mind's eye, I imagine this father at home watching Desperate Housewives while he figures out which supermarket he's going to hit tomorrow to control magazine covers. Except for a few super-disturbed kids, I have found few four to seven year olds all that interested in cleavage. Perhaps you have seen groups of ogling children gathered around the magazine racks looking at pictures of buxom ladies and overly muscular men, but I sure haven't. Pull out and buy the magazine themselves. Peruse the Internet for tacky sites. Find novels and other books in the library with graphic explanations. Get a hold of R-rated video disks. Play video games that put the raciness of Cosmopolitan to shame. Well, the list could go on, but the point is, this dad in the supermarket is heading down the path to a battle he will inevitably lose as he tries to control his kids from the outside in. Actually, by defining early what his kids can't have, can't see, and can't think about, he'll drive 'em right to the only tree in the entire garden that has the forbidden fruit. The tighter such parents control the kids, the sneakier they become. Of course they try to cover it up, but the parents always eventually find out and a schism develops between parent and child. And the kids still continue to misbehave, to boot! It's a pretty old story! Love and Logic teaches that the only real control anyone ultimately has is self-control. Children have to learn to make the right choices from the inside out. Naturally, we all want children who make healthy choices. We don't want kids into early sexuality. And if it were as simple as putting a V-Chip into the TV, hiding the magazine covers, and forbidding the Internet, I'd be all for doing those things. But the fact is, none of those things develop self-discipline or the ability to make wise choices. In fact, they do the opposite. They say to the kid, "You can't be trusted to make wise choices and you won't be allowed to make the choices that you wish you could!" So how does Love and Logic advise raising a responsible child who makes wise choices if the parents don't make the choices for them? Children learn by modeling after parents who love and listen to them before giving their own thoughts and ideas: "Son, what works for me is_______ and the reason I personally don't_______ is because_______." Most poor choices generally result in their own natural consequences. Parents always worry that the consequences may not occur until later down the road. But the fact is that if parents give thoughtful ideas when their children are young and inevitably let the consequences, good or bad, occur, then when they say to their children, "This may not work out well for you in the long run because_______," their children will listen with the same attentiveness that we would listen to our investment counselor if he said the same sentence. We'd think, "Wow! This guy has been right in the past, and if he thinks this is a poor choice, then_______." In summary, what ultimately didn't work for the Taliban won't work for parents. 1. Love and Logic parents remember that parents can’t teach for teachers and teachers can’t parent for parents. Remember that teachers and parents can’t learn for kids no matter how much we love them. a. Show sadness rather than anger when they have trouble at school. 4. Spend some time each day talking with excitement about your work and your day. They will want to imitate you and will soon begin to t talk about school and their day. 7. Encourage your children to do things that “charge their batteries.” Encourage them to try many different activities as a way of discovering interests and talents. 8. Provide a time and place for homework. Expect that they will study. Allow them to study either by writing the assignments or thinking hard about them for a reasonable amount of time. a. If they decide to study by thinking instead of writing or reading, have them think of a plan for explaining it to the teacher. b. Support the teacher to handle this. 1. Don’t fight with children over the homework. 2. Don’t fight with the teachers over the grade or consequence. grades or the number of years it takes to complete each grade. grades. Be excited about the good grades and sad for the children about their bad grades. a. Look at the right answers instead of the wrong ones. b. Don’t correct the wrong answers—leave this for the teacher. 3. You are getting smarter in that subject? 11. Expect this Love and Logic program to take about one year before you see good results. Remember that children who have a hard time at school need to get away from it for a while each day. More homework and problems at home about school won’t help. b. Use this program instead and you will see amazing results in one year. c. Fight with your children and their teachers about homework and the problem will still be there in years to come. You’re on your way home from work. You’re anxious for some encouraging talk and a little relaxation after a hard day. You need all the support you can get to recharge your batteries and feel strong enough to go back tomorrow and face another working day. “Hi, Honey. How was it today?" "Where are your papers? " “It was OK,” you reply. “I really don’t want to talk about it." “Well, no wonder you don’t want to talk about it." "Look at these papers. You can do a lot better than this." "Where was your mind today?" "You sit down right now and we’ll go over these proposals you wrote and get the spelling straightened out." "And look at these paragraphs. You’ll never get promoted at this rate." "How long would it be before you find a more comfortable place to go after work? “Who needs this?” you’ll say. The next step is for the parent to go to school demanding that the teacher develop some sort of foolproof reporting method. Teachers are actually faced with writing daily and weekly reports for parents. This never provides a long-term solution because it addresses the wrong problem. It also robs teachers of valuable teaching and preparation time. The real problem is that the child has learned that it is unsafe to discuss school with his or her parents. Rather than developing a reporting plan, it is much wiser to work on the real problem—helping children and parents learn to talk to each other in safe and supportive ways.This solution works, and it lasts a lifetime. You can teach your child to discuss school with you. While you are doing this, you can also lay the foundation blocks that will build a true winner out of your youngster. STEP ONE: Sit down with your children two to three times per week. Have them point out the best things they did on their papers. STEP TWO: Make sure your child describes to you the reasons for his or her success. As they put these into words, the reasons for the success will be imprinted on their brain, never to be erased. They will start to believe they are in control of their success. STEP THREE: Work with your children on their mistakes only when they ask for your help. Let the school work on deficiencies. Teachers have training to help with the deficiencies in effective ways. 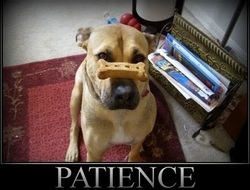 STEP FOUR: Be patient. This is a real change in operation. It will take the child a period of time to believe that this is not just a new phase his parents are going through. Look for the real benefits to show up in several months or maybe during the next few years, depending upon the child’s past history.